Ring for your maid, and when she comes in we'll pounce upon her and tear off her face. I'll wear her face tonight instead of mine. Chosen by Ria, our May book club selection is a wonderfully surreal collection of seven short stories. 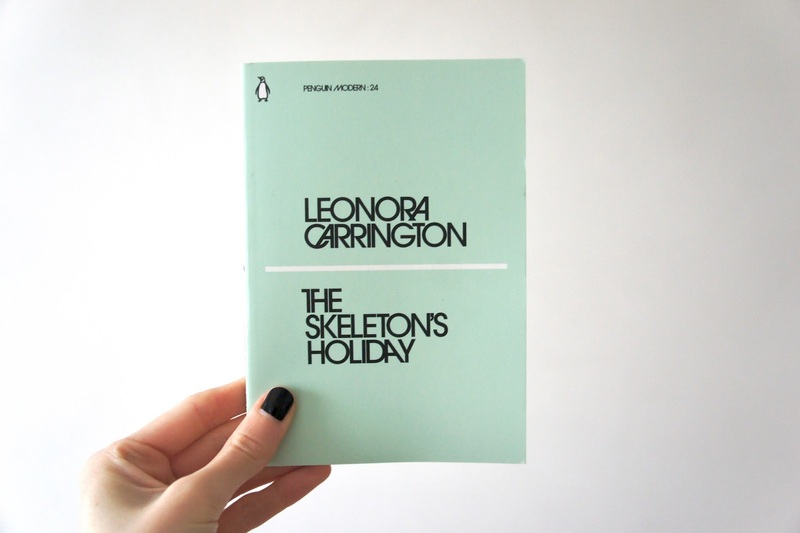 Part of the Penguin Modern Classics series, The Skeleton's Holiday by Leonora Carrington stands at just 48 pages and is available for the grand total of £1! If you'd like to join in and read along with team BB you can pick up a copy of the book online, at your local bookshop or library. We'd love to hear from you if you are reading the book over the next few weeks so please do remember to use the hashtag #bookshelfbookclub to share any updates, photos or comments with us. To send us your feedback on the book (which may be featured in our May roundup infographic) please complete this Google form by 25th May. We hope that you're excited to read our May selection but don't worry if it doesn't sound like your thing - check back next month for Sophie's first BB book club pick! I am having a real historical fiction moment right now. I just can't get enough of it, which is particularly surprising considering the fact that I don't think I've even picked up a historical fiction book over the last few years. Whatever the reason, I'm more than happy to indulge this fancy because it has led me to some fantastic books. One such book is Orphan Monster Spy, the debut novel from Matt Killeen. I actually heard Matt speak at the Northern YA Literary Festival and decided right there and then that I needed to read his book and pronto! Orphan Monster Spy is all about Sarah, a Jewish teenager. Her life takes a strange turn when she meets an even stranger man, who convinces her to infiltrate an elite Nazi boarding school. There, she must use her skills to get close to one specific pupil, whose father just happens to be a Nazi scientist and owner of the blueprints to a bomb that could destroy everything. Sarah agrees and finds herself in considerable danger, fighting to survive a cut-throat school in a brutal world. If you couldn't tell from that synopsis, Orphan Monster Spy is a fast-paced thriller that had me desperately turning the pages and devouring the story. I was completely and utterly hooked from the first few pages. It was so unpredictable that I could physically feel the tension - every time I thought things were safe, something new would be thrown into the mix! This might sound like a lot but I thought that it really worked. A mahoosive part of this is the character of Sarah. Without giving too much away, Sarah's background is not only harrowing but also has given her the chance to develop the skills she needs to walk into a new life as a spy. Every time she is challenged, I was not only rooting for her but knew she had the experience necessary to give her a fighting chance. She was well constructed, believable and really rather amazing! If I get the chance to read more about Sarah, I will be a very happy reader. [On how the book compares to Dracula] "The old European setting, the aristocratic vampire, the wooing of the victim - there's plenty there!" You, who live in towns, can have no idea how great an event the introduction of a new friend is, in such a solitude as surrounded us. Thank you to everyone who read along with us this month! If you would like to get involved with next month's BB Book Club check back here tomorrow where Ria will be introducing her selection for May. You can also sign up to our mailing list to make sure you don't miss out on any future book club updates! 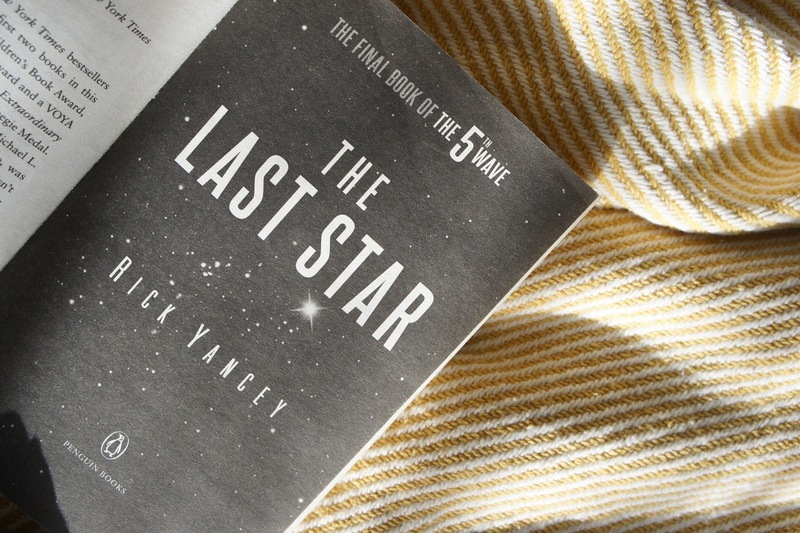 If you caught my post earlier this year on the sequels I'd added to my 2018 TBR you may remember that The Last Star, the final book in the 5th Wave trilogy, was on the list. I have to admit I did struggle a little bit with this one as it had been over three years (!) since I read the second book and as it turns out I didn't remember it very well at all. Another book on my sequels list and a 2017 'vow to read' book I failed to pick up was Always & Forever Lara Jean, the third and final book in the To All The Boys I've Loved Before trilogy (which Sophie recently reviewed). This book follows the central character Lara Jean as she graduates high school and gets ready to set off for college. There are obviously a lot of books I could have chosen for this prompt but I'm a fan of Juno Dawson's writing and couldn't resist snapping up a copy of her latest release through Netgalley earlier this year. The book tackles some tough subjects, focusing on socialite Lexi who finds herself at an exclusive island rehab facility after almost overdosing. You can find out more about Clean in my recent collab post with Ria. I'm so glad I landed on The Strange Library as my pick for this prompt as it was such a unique and quirky story which made for a fun read with a dark twist running throughout. Shared alongside the story were various illustrations from the London Library which added extra enjoyment for me. Neal Shusterman's latest series takes place in a utopian world, where war, hunger, disease and misery simply don't exist and 'scythes' are tasked with controlling the population. Like most of the book blogging world, I thoroughly enjoyed this novel and can't wait to read the sequel Thunderhead. If you missed my recent collab post with Anjali where we discussed the book you can catch it here. Here We Are Now tells the story of teenager Taliah meeting rock star Julian Oliver... who just happens to be her father. 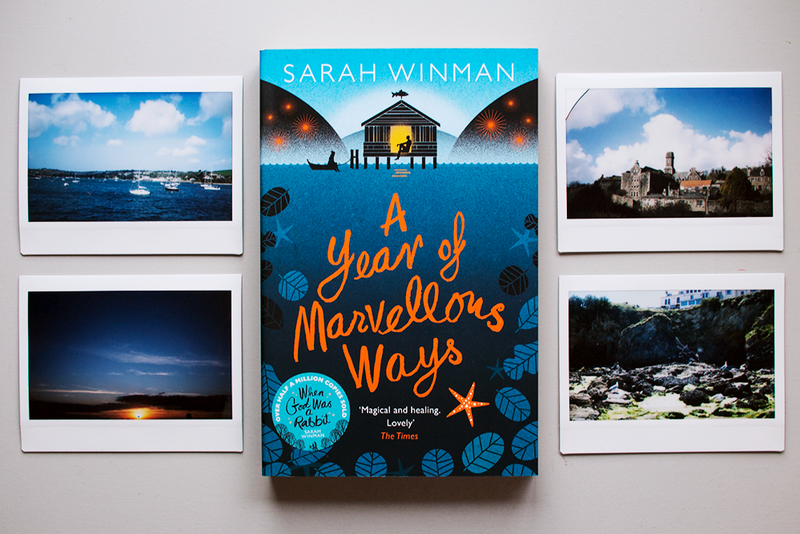 Taking place over just a few days, the book follows her journey to his hometown to meet his half of her family for the first time - including her twin cousins! If you're taking part in the Popsugar 2018 Reading Challenge I'd love to hear from you. Let me know which prompts you've crossed off the list and which books you're planning to pick up next! 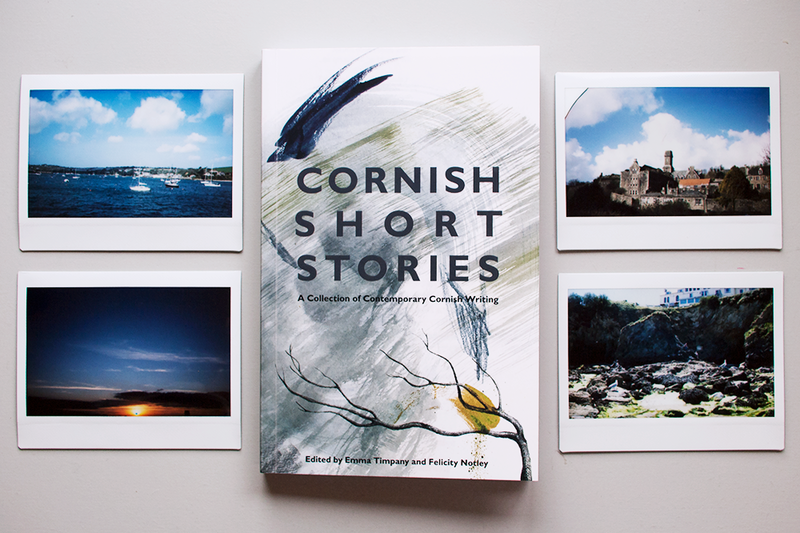 Cornish Short Stories: A Collection of Contemporary Cornish Writing is a new collection of bright and atmospheric stories that celebrate Cornwall, its landscapes, and its people... and I just happen to have a story included in it. 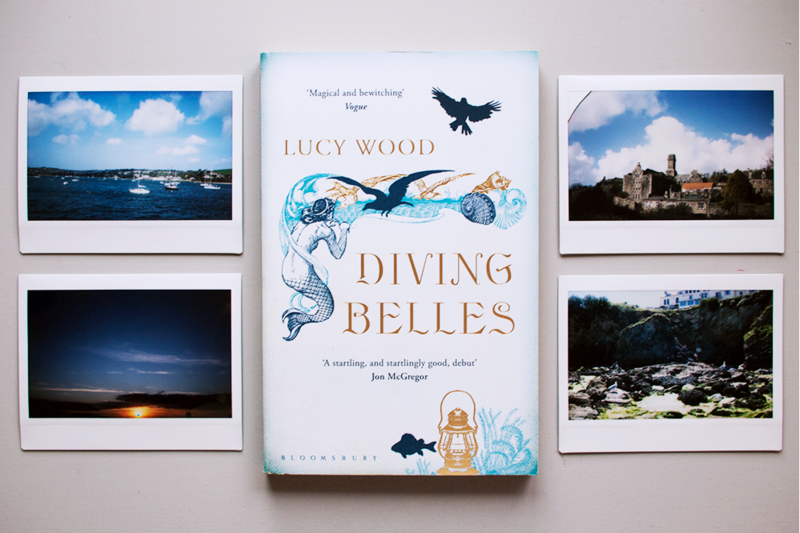 To celebrate the release of this varied and inspiring collection of short stories, poetry, and beautiful woodcut illustrations, (and my first published work) set amongst the famous Cornish beaches and countryside, I have five recommendations for you of books set in that very same county. For more short stories, Diving Belles by Lucy Wood is a collection of magical tales that draws inspiration from the coastlines of Cornwall and from local myths and legends. Wood masterfully weaves these influences together into an enchanting collection of stories that reveal magic in the every day and the every day in magic. 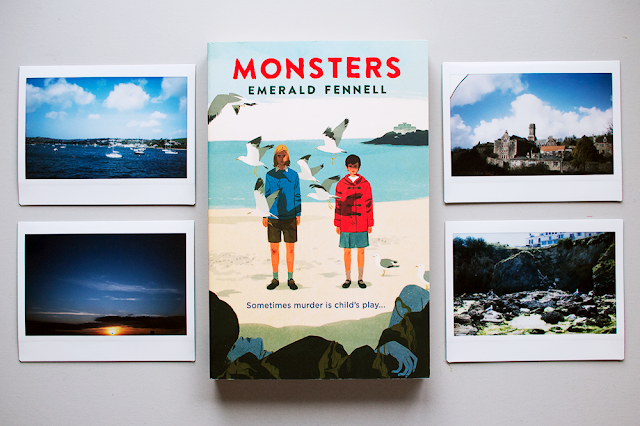 Monsters by Emerald Fennell, on the other hand, could not be more different. A darkly comic story for middle grade readers of two children who meet in a hotel in Fowey and bond over the darkness they both share. They obsess over local murders, investigating and re-inacting the grisly acts for fun. Monsters is a more disturbing take on seaside life. A poetic and lyrical story, again rich with magic, A Year of Marvellous Ways tells the story of a ninety-year-old woman, living alone in a remote Cornish creek, until a young soldier washes up on her shore. This is one I haven't read yet but I've heard so many positive things about how beautiful and evocative the writing is that I can't wait to get to it. Not Forgetting the Whale tells the story of the small village of St Piran, disrupted when a young man washes ashore on the beach, naked. 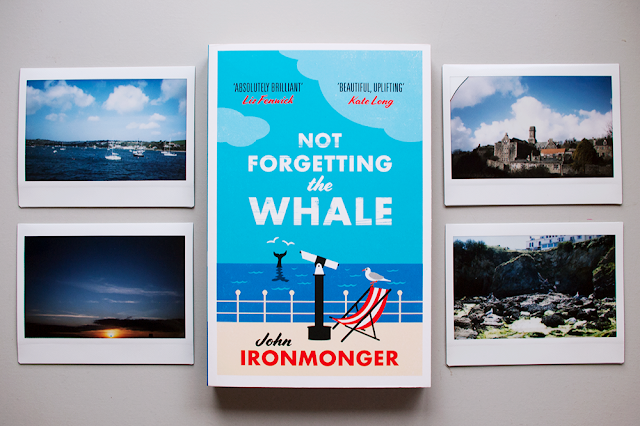 The villagers all rush to help but the spotting of a whale at the same moment is seen as an omen of things to come. This is another book still on my TBR, which promises to be a funny and heartwarming read. 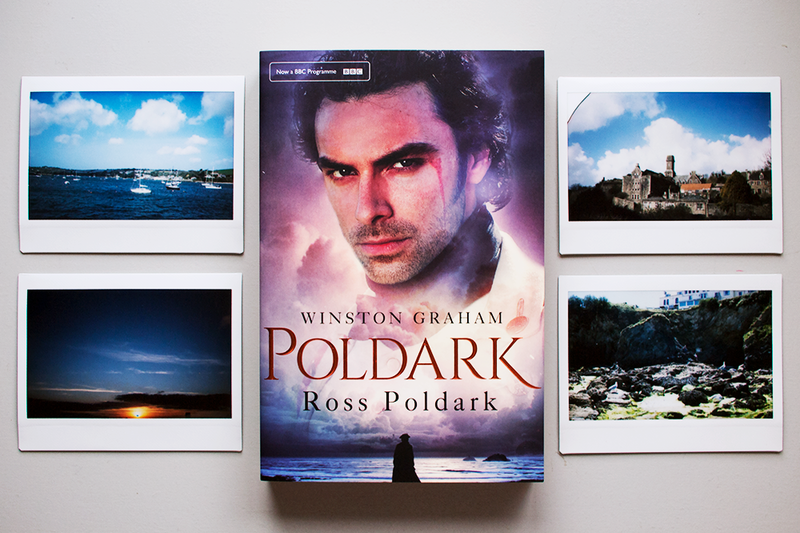 And, of course, how could I write a list of books set in Cornwall without mentioning perhaps the most famous one of all? Ross Poldark, the first in Winston Graham's extremely successful Poldark series, paints a picture both romantic and slightly more realistic of life along the Cornish coast during the late 18th century, and if you're one of the many people who enjoy the TV series, the book is certainly worth a read. So many stories have been inspired by Cornwall, including many of Daphne du Maurier's works, to name just one very famous author I've missed out here. If you know of any more novels or short story collections set among these famous moors and coastlines, let me know in the comments! I'm always on the lookout for stories that celebrate my beautiful home county. And tell me about any books set where you live too! It's always interesting how stories set in places we're so familiar with can make us think differently of our own surroundings. I had heard so many great reviews about this book but whenever I'd look up the blurb I was really doubtful I'd feel the same. However, because of all the great reviews I still had it sitting there on my TBR list and finally, one day when I got some extra pay I thought "screw it" and ordered the damn thing. Lucky I did because like everyone else I really enjoyed it! Now as I was doubtful I did go into it with quite a different mindset than other books and frankly I was reading the first few pages going "Oh he's gonna be shot", "No it's gonna be her", "Actually her" until the incident happened (FYI, not a spoiler, it's in the blurb). But once it finally happened I got drawn in on the suspense and thrill of it all, eager for the idiot white man to be brought to justice! I really enjoyed the way the story was told, through the eyes of Starr because it really gets you involved and tangles your feelings in a knot. Some stories are told in a way where you feel like a fly on the wall but this one you're Starr, you feel everything she feels and yes I even cried. It's such an important topic and very much related to what's happening at the current time. It's so realistic even to the point of the family dynamics and everyday life which makes it incredibly believable so it was great to see a topic as important as this told in a way that teens would understand and take note of - and even do something about. It may be told in a fictional way but events like these do happen so telling the story in a real and relatable way is key. If you haven't read this yet, pick it up and make it your next read because not only will you enjoy it, you'll probably learn something too! "What's the point of having a voice is you're gonna be silent in those moments you shouldn't be?" When I heard that Melinda Salisbury had a new book coming out, I was so excited that I actually pre-ordered it. I never pre-order books. But something about State of Sorrow had caught my attention and I impatiently waited for it. All I knew about this book when I went into it was that it was about a young woman who lives in a land of sadness. Such a simple statement doesn't do it justice. This book centres on Sorrow, who was born and subsequently named during a time of absolute tragedy for her family and country. Since that day all she has known is mourning as her country grieves for the brother that died the day she was born. I loved Sorrow as a character. She was strong, and confused, and determined, and fierce, and flawed and utterly wonderful. She had so much life packed into her that it made the setting even more claustrophobic. I wanted her to succeed. She is the reason that I am desperately waiting for the sequel, even though I know it is going to be a long time before I am lucky enough to get to read that. I loved the development of Sorrow from page 1 to page 452 so I can only imagine how the rest of her arc will go in book two. The world that Sorrow inhabits is also fantastic, from the mundane despair of Sorrow's home to the more vibrant places that she visits. You could really feel Melinda Salisbury stretching her creative muscles and showing off her talent. Speaking of developing, I'm so excited for each new thing that Salisbury writes as she gets stronger with each one. I liked her first series but I love this one - what's next for this writer? 1. Book Shopping - Katie's list of her top five independent bookshops in Liverpool has us itching to visit the city! 2. Hermione-Approved Reads - this list from Bustle shares 18 titles our favourite Hogwarts witch would be sure to recommend. 3. Do You TBR? - Marie shared a post discussing the reasons she doesn't do TBRs. Do you like to stick to a monthly TBR? We'd love to hear your thoughts on the subject. 4. 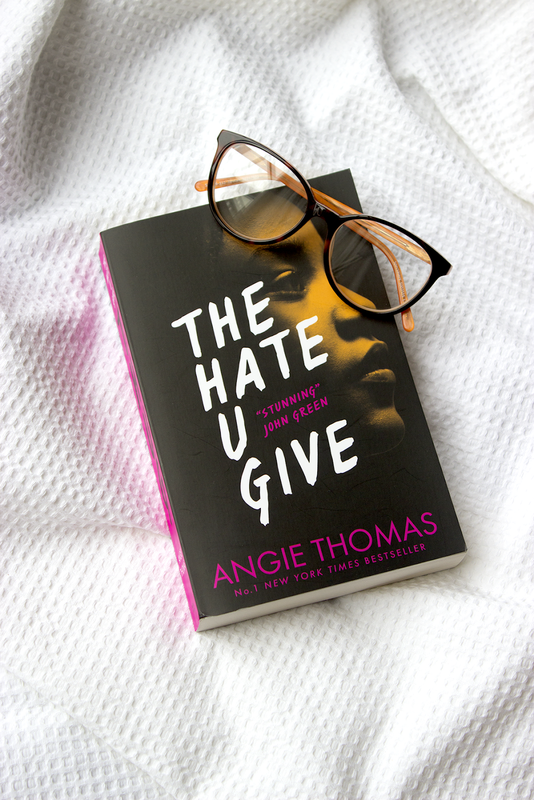 Sharing The Love - we always love to share recommendations with you and Amy has three great ones in this post over at Call Me Amy. 5. 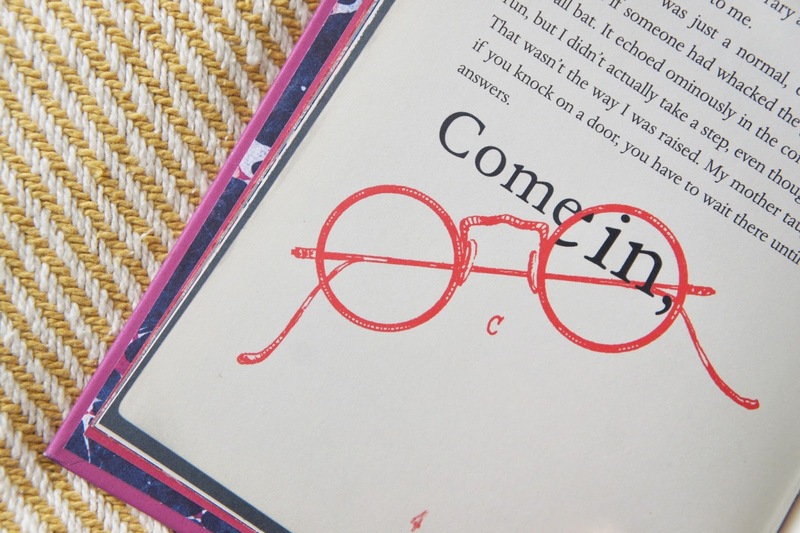 Fictional Food - we love the idea behind Rebecca's series of recipes inspired by books. This 'Wild' tomato soup looks like the perfect dish to cook up a batch of this weekend. 6. Poetry Review - if you're interested in finding out more about the work of popular poet Rupi Kaur, this is the post for you! 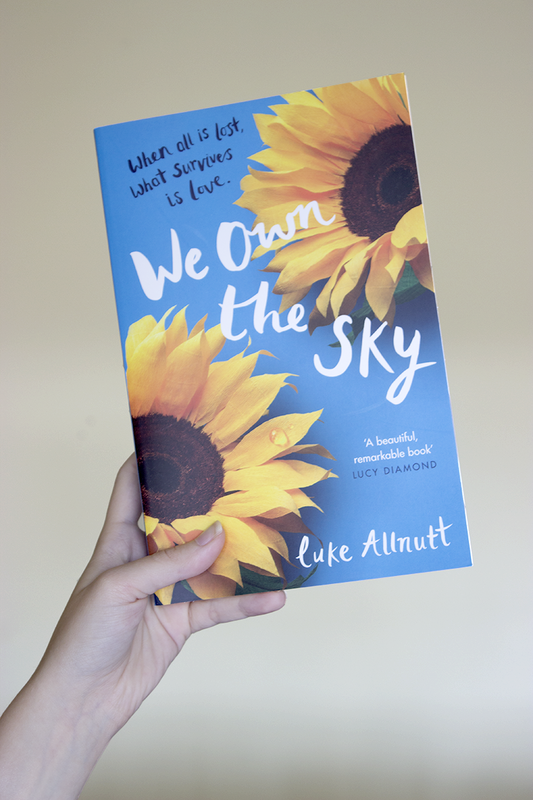 Over on her blog Charlotte reviewed both Milk & Honey and The Sun And Her Flowers. 7. How To Read More - if one of your 2018 goals is to read more books, this list of tips from Novel Ink may help you to achieve your target. 8. Vegan Eats - we enjoyed this review of Katy Beskow's 15 Minute Vegan over on Charley's Health and the dishes look incredible! 9. Tracking Your Reads - if you're looking to keep track of your reads via bullet journal you may find this notebook review handy. 10. 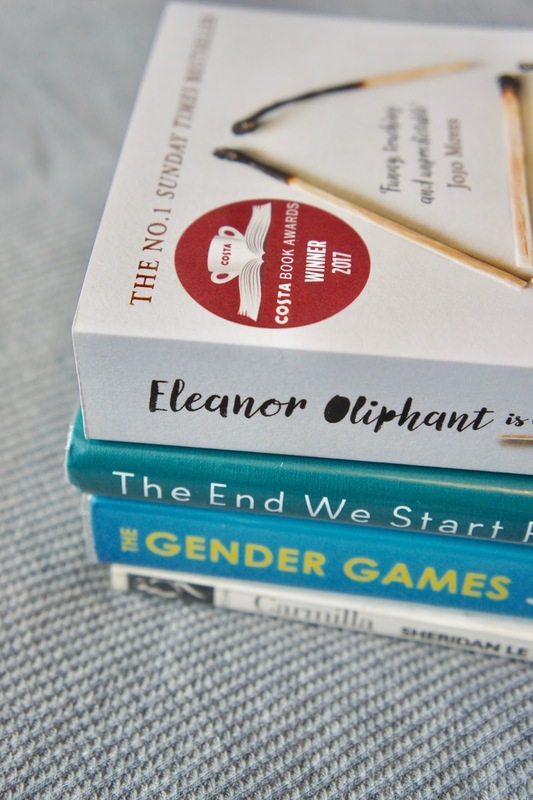 Belletrist Must-Reads - we loved this Anthropologie list featuring five top picks from the Belletrist book club. 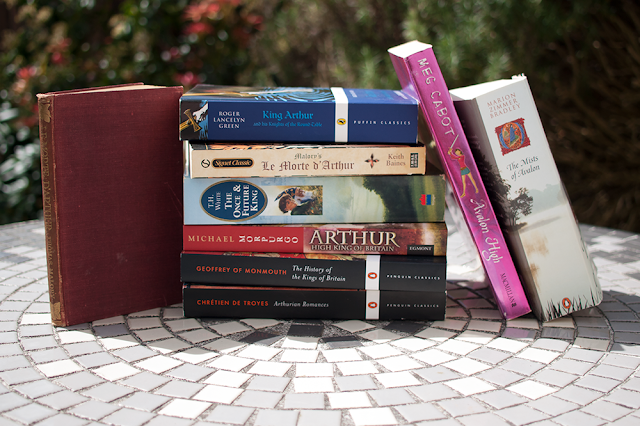 Have you read any of these titles? For a little extra dose of bookish links every month, make sure you're subscribed to our monthly newsletter. 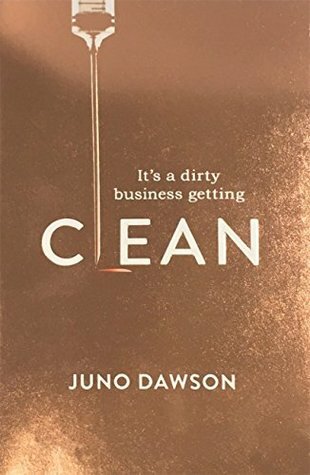 What made you want to read Clean? Erin: I've really enjoyed many of the author's other YA novels so I'm always excited to hear what her next new release will be. Honestly, I'm not sure whether I would have picked up a copy of Clean based on the premise alone, but I enjoy reading Juno's work and love the way she is always able to create such memorable characters, so when I saw the book pop up on Netgalley I couldn't resist! Ria: I adore Juno's writing and have really enjoyed her previous novels, so I'm always looking out for her next release! It also helps that the premise and tone of Clean was pitched as a cross between Gossip Girl and Girl Interrupted - both films/books I love too. What did you think about the characters? Did they feel realistic? Erin: I loved that there was a diverse range of characters in the book, each with dealing different issues. At first, our main character Lexi felt very unlikable and unrelatable but I still found her to be an interesting guide through this particular journey and enjoyed seeing her growth over the course of the novel. Ria: The characters in Clean definitely feel larger than life and yet there are little snippets of their personalities that do feel very much human. They all have flaws, they all make mistakes, and none of them are perfect, and I kind of love them all for it. Lexi, in particular, is obviously the living embodiment of this. There are so many moments where she is frustratingly dislikable, but she's young and she's learning. What was your favourite thing about the book? And was there anything you didn't like? Erin: As I've already mentioned, I liked that there was a diverse cast of characters and I also thought the opening scene of the novel was very intriguing. If I'm being completely honest I wasn't crazy about the ending, or the romance element in general, but this didn't take away from the way Juno explored such interesting yet tough topics and I love that she wasn't afraid to tackle these. Ria: I really enjoyed how diverse the book felt without it being too forced. It as great to see such a range of different issues explored, as well as the inherent messiness of recovery and therapy. As always Dawson's humour and writing style is fantastic, she always manages to capture this age of character so well. Like Erin, I wasn't so keen on the ending but seeing Lexi's character grow and change throughout the novel was really satisfying. Erin: Whilst I think most fans of Juno's work will enjoy Clean, it won't be to everyone's taste. The book and Lexi's story feel very raw and intense, so at times it can be a difficult read but it tackles some really important topics. Personally I found it to be an interesting read overall and as always I look forward to seeing what Juno will come up with next! Ria: Yes! Whilst it may not be for everyone, I do think the stories within Clean are really important and it's rare to see a YA novel explore these issues in such an unfiltered way. Having read all six books in the Falling Kingdoms series over the past few months, I can say with confidence that I still don't know whose side I'm on. What I can tell you is that while I started off not loving the series, it definitely grew on me, so much so that I binge read the series over the course of a few weeks. Somehow the story got to me, and I couldn't stop reading it. Until, that is, I reached book five, and realised that book six wasn't at the library yet, and my hold-place in line was far, far, away. It was a long wait. Instead of reviewing each of the books on Blogger's Bookshelf, I thought I'd review the entire series, without giving spoilers. The main idea in this series is that there are magical stones/orbs/crystals which each hold one of the main elements (or elementia magic, as they call it): air, water, earth and fire. These four elements created the world, but after a series of events were lost, their powers no longer sustaining the earth. Without them, both the world that Magnus, Lucia, Jonas and Cleo live in, and the Sanctuary where the immortal Watchers live, are falling apart. Once found, the crystals will either heal the world, or destroy it, depending on those wielding its magic. As the books progress through the series, the plot follows each of the four main characters through their highs and lows. After the first book ends, their stories interweave more and more, and they find themselves with similar agendas, or, as in a lot of cases, opposing ones. Alliances are formed, others broken, there are betrayals, there's love and loss, and a touch of teenage angst. Speaking of teenage angst, there isn't too much of it in this series, but at the same time there was enough silly behaviour and 'really?' 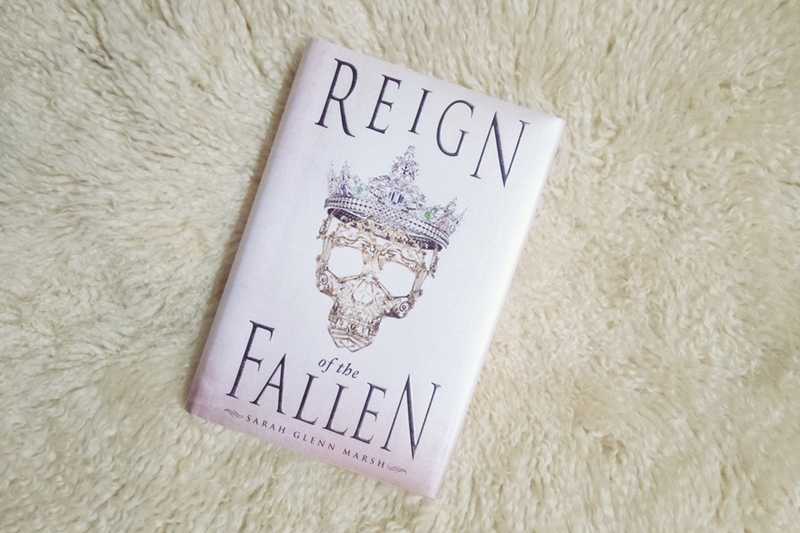 moments that it was definitely why none of the books were a 5 star read for me.When I first started reading Falling Kingdoms (book one), I didn't really enjoy many of the main characters, but eventually I realised that my favourite characters were actually the minor ones. A warning, but not a spoiler: don't get too attached to anyone if you can help it. Rather Game-of-Thrones-esque, they seem to die at unexpected times and in rather unexpected ways. I don't think there was a single death in this series that I was prepared for or saw coming. You've been warned. The land of Mytica is divided into three kingdoms: Limeros in the north, Paelsia in the middle, and Auranos in the south. The north is cold, with harsh winters; the central area is perfect for grape growing and wine production; the south is warm, with hot summers. All the main characters come from different kingdoms, making it difficult, once again, to pick a favourite. When you reach book 4 you'll discover that there's more to the world than just Mytica; the Kraeshan Empire stretches far beyond the shores of the kingdom that you'll get to know, making it look tiny in comparison. That's the other thing: maps! 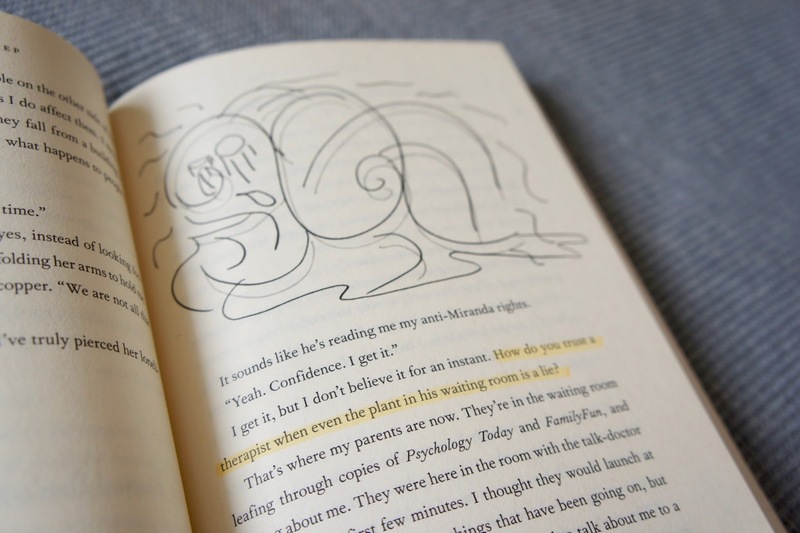 Each book has a map so you can easily reference where you are as the characters move around. I do love a good book map. As I mentioned, I did really get into these books. There were things I didn't enjoy, like all books, but overall, quite excellent. They're a light, easy-to-read fantasy series, with enough twists and turns (and surprise deaths) to keep you turning the pages late into the night. 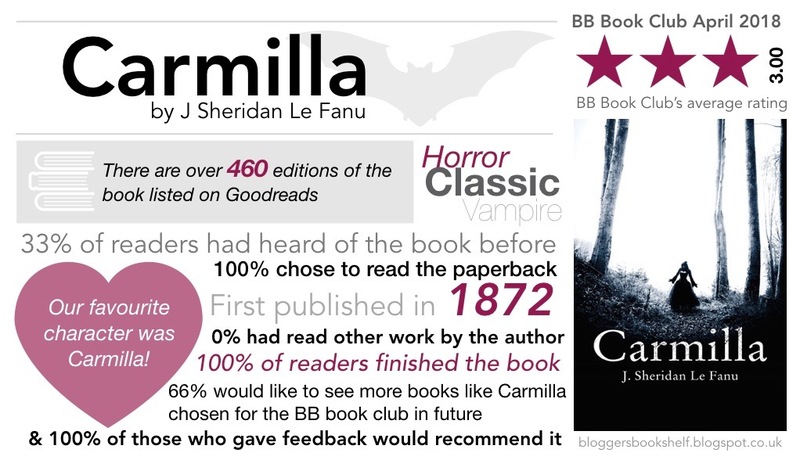 While none of the books go a 5 starts from me, overall I'd give the series a 4 stars. If you end up picking up Falling Kingdoms, do let us know what you think of it. If you've already read, let us know if you enjoyed it! 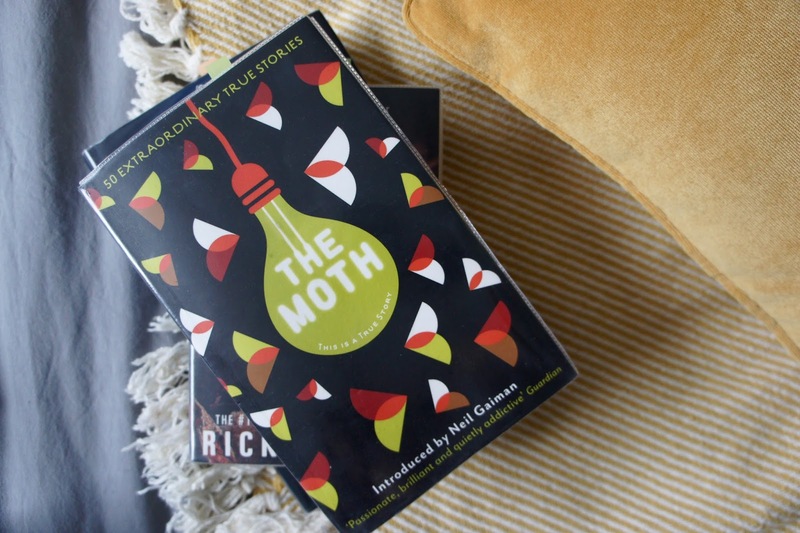 Released in 2013, The Moth is the first story collection published by the non-profit organisation of the same name, which hosts live storytelling events, also shared through their weekly podcast. The book contains fifty true tales told by a variety of storytellers, ranging from heartwarming to heartbreaking and everything in between. The stories selected for the book are split into seven different sections - Innocents Abroad, In The Trenches, Coming Home, Generations, Shot Through The Heart, Carpe Diem and Save Me - mirroring the fact that the live events each have a theme. Each story has been transcribed from the organisation’s live storytelling events across the US and has it’s own distinctive, chatty tone, often as if you’re listening to a friend. Having only dabbled in listening to the podcast, I can understand how some of the stories would be best heard spoken by the storyteller’s own voices, however I do think the book’s editor Catherine Burns did a great job of recreating this feeling on the page. With each story lasting only a few pages the book is easy to dip in and out of, however I found myself finishing the whole thing in just a few days as I was enjoying variety of stories and voices so much. Of course, some of the tales were more memorable than others but each one was interesting in it’s own way and there were very few that I didn’t find myself invested in. Top of my April TBR is a book that everyone has been talking about; Eleanor Oliphant Is Completely Fine. After weeks of sitting at 120-something in the library queue I decided I was too impatient to wait any longer and picked up my very own copy of the book when I spotted it for just £3.99 at the supermarket. I've heard nothing but amazing things about this one so I can't wait to finally read it! I first heard about The End We Start From when it was featured as part of the Belletrist book club last year and it's been sitting on my Goodreads TBR ever since. Initially I was drawn in by the beautiful cover and intriguing premise but thanks to the short page count it's also been sitting on my list of potential BB book club reads too! This month I'm planning to try and cross another sequel off the list I shared back in January. Waking Gods is the follow up to Sleeping Giants and the second book in the Themis Files series. Whilst my local library doesn't have a physical copy of the book, they do have the CD audiobook version so I've decided to try that instead. One of my favourite things about the first book was actually the format which included journal entries, interviews, news articles and more so I think it will be interesting to see how well this translates into the audiobook format. Although I've read and enjoyed all of Juno's fiction titles I haven't yet picked up any of her non-fiction releases. I also haven't managed to squeeze in any non-fiction books since January so I'm really looking forward to reading The Gender Games this month. Again, I've heard so many great things about this book and I think it's going to be an interesting read. The final title making it on to my list this month, and the only one not published in 2017, is of course our April book club title which was chosen by Kelly. I have to admit, I hadn't previously heard of this novella and it's not one I think I would have picked up if it weren't for the book club, so I'm looking forward to reading something a little different! Which books are on your TBR this month?